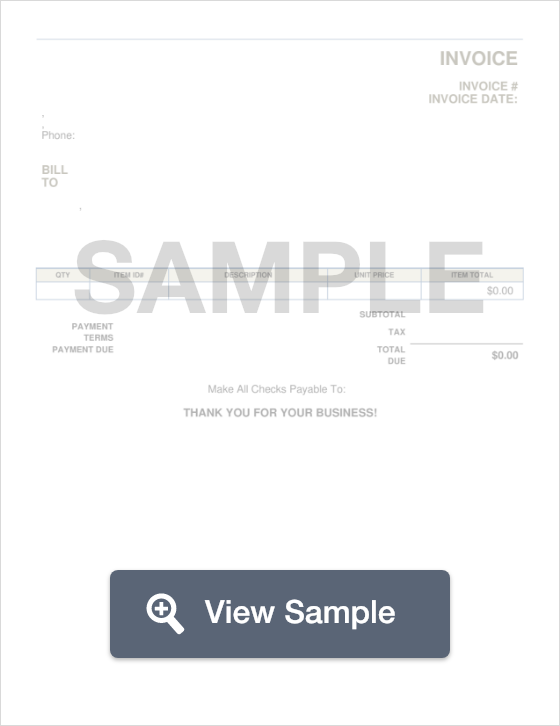 An invoice form is used as a receipt or bill, usually given from a seller to the buyer. An invoice is a document issued to a buyer by a seller, indicating the sale or rental of goods and/or services. The components of a professional invoice can vary by transaction. An invoice for products being delivered, for example, includes shipping details, while an invoice for services or non-delivered products does not. A rental invoice generally includes a section stating the duration(s) of the rental period(s) (you get the idea). Invoices are usually heavily formatted documents. Rather than listing things to include, we’ve drawn up a sample invoice, which is pictured below. Sections that are not self-explanatory are defined in the list that follows. Note: The sample invoice template includes sections for shipping information; however, this would not appear on every blank invoice template. A purchase order indicates the type, quantity of product and services being sold by a supplier, including an agreed upon price. A purchase order is created before an invoice because it defines the contract of the sale. An invoice, therefore, is created after the purchase order. Number, generally sequential, used to identify the invoice. Number, also usually sequential, used to track the order. Multiple invoice numbers are sometimes assigned to a single order number, as some products, such as certain pharmaceuticals, legally require a separate invoice. This only needs to be included if products are being shipped. Be sure that you clarify who is receiving the order. If, for example, Bill Bazooka were buying these ornaments for his aunt and having them shipped directly to her, her address would be the one in this box. Again, this part is only necessary if products are shipped. Specify: land, air, or sea. Brief description of the product, allowing handlers to confirm that it is the correct item. Price per item (or unit price), before any applicable tax. Total cost of all items on this line, before tax. Some US shippers do not include tax on invoices. In the case of interstate shipments, sales tax does not apply. However, there is a replacement for it known as a "use" tax, but the details of this vary by state. Review your state's website for laws regarding tax on shipments. If you don't include tax is on your invoice, leave out the subtotal and tax columns. Total cost of all items on that line, including any tax. Total sum owed by buyer. Terms of payment, meaning cash, credit, check, etc. Date by which payment is due. Write this date VERY CLEARLY, IN BOLD IF YOU WISH, SO THAT THERE CAN BE NO CONFUSION. Create a free Invoice in minutes with our professional document builder. Here is your MVP guide to navigating and understanding an invoice. Whether you're a large or small business who wants to improve your company's invoice skills, or you are preparing to write your first invoice, you’ll learn invaluable tips, tricks, and tools to help you better understand, and better craft a proper invoice while catching common errors that may appear. Soon, you'll be able to send invoices at the drop of a hat! Before we go over how to spot potential mistakes and common errors in invoices, let’s review how one works, as well as some of the legal considerations. When you've asked an individual, vendor, or supplier to provide products or services for you, it is reasonable for that person to bill you for the money that you owe. This can occur informally with a handshake and verbal agreement, but it's a smart move to ask for a written billing form. It's not uncommon for people to use an invoice because it documents the product or service that has been provided by the supplier. A supplier can be just about any individual, group of individuals, or vendor. From the viewpoint of the client or customer, invoicing is not a difficult process at all. In fact, the customer can simply leave it up to the provider of the product or service to create and issue this type of form. Upon receipt of the form, the customer will naturally want to examine it for accuracy and completeness. If the document is deemed to be correct and complete, then the customer simply needs to remit payment according to the payment instructions provided on the form. The customer should retain the form for his or her records, as it might come in handy when tax season, or if any payment conflicts arise. This information will need to be transferred to the final document when it comes time to bill the customer. After a pre-established amount of time has passed (e.g. one month) or a pre-set quantity of a product or service has been provided, it's time for the supplier to write up the billing form. The aforementioned information, including data on what was provided and when, all needs to be clearly enumerated on the form. For example, let's say a bottled water supplier ships water to your home on a regular basis. In this case, it would make sense for that supplier to send you a monthly form indicating the quantity of water that was shipped and when it was shipped. In all cases, the accuracy of information is of paramount importance, as customer disputes could escalate into legal problems. Also, any invoice will need to include instructions for the customer on where and how to remit payment for the products and/or services provided. When it comes time to create an invoice form, it is possible to pay a professional printing company to write up a document for you. Another option is to attempt to construct the form yourself from scratch, though this might present a challenge for anyone unfamiliar with this type of document. A perfect solution for do-it-yourselfers is to search the internet for a sample invoice. Looking at a free sample invoice template can make it much easier to see what this type of document looks like and how to create an invoice for one's own business. Try a document search on Google, Bing, Yahoo, or another well-known search engine for best results. When the customer pays the bill, the process is complete and hopefully, both the supplier and the customer are satisfied. When done correctly, invoicing is an uncomplicated process that will become automatic after a while. Look at a few samples, try it for yourself, and learn from your mistakes; with these steps, you'll be sure to master the invoicing process. In the world of business, an invoice is nothing more than a form used for billing, and most of us have seen one many times. You might be in a situation right now in which you need to issue someone an invoice. If you have supplied a product or rendered a service to a client or customer, then you will definitely want to submit this type of billing document, as it is the perfect way to let customers know what products or services you have provided, how much money they owe you, and how to remit payment to you. Still, you might not have considered all of the legal implications involved—and there are, indeed, some things you'll want to keep in mind. One major consideration is the importance of keeping a copy of the invoice form for yourself. If you don't retain a copy before sending the document to the client, you're only asking for problems. Customers will sometimes misplace these forms, and if you don't have a backup copy in your records, you'll then need to jog your memory and try to recall exactly what you provided for the customer and how much he or she owed you. Keeping a copy of the billing form in your records will prove to be extremely helpful when taxpaying season arrives. If you are sending a free invoice template, you should also take the accuracy of your information into consideration. Errors on a billing form can be costly to your customers, but they can be even more costly to you and your business. If you accidentally under-bill a customer, do you really think that he or she is going to let you know about it? Chances are, an under-billed customer will either be unaware of the discrepancy or will grin and keep it a secret. On the flip side, if you over-bill a customer, then you can expect an angry phone call or e-mail message at the very least. Worse yet, you could end up with a complaint to the Better Business Bureau or even legal action against you. That's why you'll want to double-check your information each and every time. There is also the legal consideration of specificity when submitting a free invoice template. The more specific and detailed your form is, the better. From a legal standpoint, it will look much better if you include descriptions of all products or services provided, dates (and even the exact times, when feasible) in which they were provided, quantities in which they were provided, and the cost for each product or service down to the last penny. Taking shortcuts might seem convenient when composing and submitting a billing document, but you'll regret it later on if there is a dispute and a threat of legal action. Still another consideration is the quality of the document itself. The last thing your business needs is a legal snafu resulting from a poorly constructed document. If you can afford it, it's perfectly fine if you choose to have a professional printing company create an invoice form for you, though that's not the only possible solution. Indeed, searching for templates on the worldwide web and modifying them to your specifications is a viable alternative. Try conducting a search on the keywords "free invoice template" or "free invoice template form" on your favorite search engine; sort through the results carefully, and choose the best invoice form to suit your business's needs. Considering the legal aspects might seem like a hassle when you're submitting an invoice. However, a small investment of time and effort can prevent a great deal of trouble. It's always worthwhile to educate yourself, so learn as much as possible, keep your invoices accurate, and do everything you can to avoid legal difficulties. Websites like Paypal allows merchants, small businesses, and freelancers to use their online invoicing services and also print pdf invoices, which allows clients to issue online payments with their debit or credit card. However, there are fees involved (around 3%). Intuit Quickbooks is a service that provides both electronic invoicing and hard copy invoicing services businesses and freelancers. Whether they are catering to startups or large companies, Intuit Quickbooks provides invoicing software that helps companies keep more accurate records while offering an array of invoice formats. For freelancers who may charge hourly, there are time tracking apps, such as Due Time Tracking and Sighted Time Tracking and Invoicing, that will accurately record time so that clients are billed accordingly. Some apps will even provide clients with screenshots to prove that the freelancer is actually working while using the app, and not out at the mall somewhere. Though there are an array of websites, software and online services to help provide businesses and freelancers with the most convenient invoicing services, be sure you thoroughly check your options to do what is best for you and your business. Remember that the needs of a company who needs to send a commercial invoice will be different from a company who needs to send a personal, or service invoice. What may work for one business may not work for the next. Therefore, it is imperative that you ensure that whichever service or software you choose, that it meets all your businesses needs. Here is our guide for best invoicing practices for businesses. We focus especially on how to spot mistakes and highlight common errors in invoicing procedures in consumer, medical, and billing invoices. We hope this guide will help your business to optimize its invoicing processes and minimize errors. Or, as a consumer, we hope this guide helps you identify any incorrect bills. Incorrect information: if an invoice contains incorrect information, even if that information seems non-essential, customers can refuse payment. This will delay when you receive payment and inhibit your ability to conduct further business. Solution: make sure you double-check all invoices and ensure there are no errors before sending them out. Late Invoices: late invoices can, at a minimum, irritate your client. At worst, if you wait too long to issue an invoice, customers may forget about the transaction, ignore it, challenge it, or change their mind about payment. Any of these potential outcomes negatively impact your business. Solution: issue invoices ASAP, preferably as soon as services are rendered. Accepting late payment: If customers know they can get away with paying late without fees or repercussions, they likely will. Solution: make sure your contracts clearly outline late penalties and fees. Be sure to enforce those fees in the event of a late payment. Send quotes whenever possible: quotes will frame customer expectations regarding cost and outline preferred methods of payment, payment schedule, etc. You may even consider requiring a customer to sign a written quote before you complete their order. Offer early timely and/or payment discounts: if there are financial incentives behind on-time or early payment, customers are more likely to pay on time. Be careful, however, not to offer too generous of a discount. Be sure any discount you offer still leaves you with an acceptable profit margin. A shorter payment schedule may also incentivize customers to pay sooner. Send reminders: establish an automated invoicing process that reminds your customers of upcoming payments. Automate invoices: an automated invoicing process makes payment easier for customers which makes it more likely you receive payment on time. Provide multiple payment options--in office, online, by check, etc.--based on your customers’ needs. Utilize software that will automate for you, like Quickbooks, FreshBooks, Xero, etc. Manual data entry is not only slower, it also leaves more room for error. Make sure your automated invoices are properly formatted and Include your company’s logo. Some freelancers deal with clients overseas. If this is the case, it is important to remember to send a clear invoice with all the aforementioned information in a language the client will understand. Typically in the United States and other countries throughout the world, an invoice in English is widely accepted. However, in certain countries where English is not widely used, it's important to have the invoice translated to the client's language. This can avoid delays in payment due to communication challenges. As a consumer, the invoices you receive may be erroneous. It is important, therefore, to understand the recourse available to you should such a situation arise. If you are issued what you believe to be an erroneous credit card charge, begin by determining whether the charge is an error or a fraudulent charge. Were you charged the wrong amount for a service you received, or did you not make the purchase at all? From there, notify the merchant. You can do this in person or call/email the vendor and send copies of relevant receipts/documents to show that detail the erroneous charge. Next, contact the credit card company. If the merchant is unable/unwilling to reverse the charge, contact the credit card company directly about the charge. Generally, you can submit disputes online or on your card app. Vague billing descriptions: A bill should contain tasks with specific descriptions and a detailed accounting of the time/date during when the task was performed. 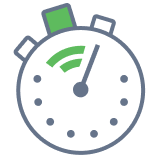 Padding time: padding refers to when a service provider claims it took longer than it actually did to complete a task in order to bill for more money. Training costs: it is not your obligation to pay for inexperience. Inaccurate medical bills are often upsetting for patients, who are not only dealing with health and economic concerns but must now spend considerable time on the phone with their insurance provider trying to rectify the error. Researching the medical services you will be provided and the associated costs. Childbirth, for example, comes with a range of costs that include hospital stays, an anesthesiologist, tests, etc. You may, therefore, be improperly billed for any of these charges. If, for example, you are billed for an out of network anesthesiologist and epidural, do not pay. Instead, contact the hospital administration. As long as you chose a hospital in your insurance network, you should not have to pay for any out of network services or procedures. Balance billing: a healthcare provider bills a patient for the difference between what their health insurance covers and what the amount charged by the provider. State law determined the legality of balance billing procedures and guidelines. Diagnosis and treatment code mismatch: when issuing a medical bill, the diagnosis and treatment code must match. If they do not, the insurance company will reject the claim leaving the patient responsible for all charges. Failure to verify insurance coverage: If a patient receives medical treatment that is not covered by their insurance provider, the provider will reject the claim and the patient is responsible for the full cost. Unbundling: refers to scenarios in which a series of services fall under a single billing code and therefore should be billed together, but are charged separately. This typically increases the overall bill substantially. Duplicate billing: billing a patient for the same service more than once. This can also include billing a patient for multiple “first days” (the most expensive) in the hospital, even if the total days billed is correct. Incorrect information: including misspellings or other typos. Undercoding: a patient is not charged for all procedures completed. This is illegal and may be considered fraud. Typos: including incorrect billing codes, misspelling of your name/address/policy, etc. Canceled tests: make sure you took all tests you were charged for. It is common for doctors to order tests but decides later not to administer them. Work not performed: make sure you are not charged for services that you never received. In general, you will be charged for the day you are admitted, but not the day you are discharged. We also recommend you consult and utilize a transparency resource, which will give you an idea of the rate of procedures, tests, etc. and should be provided by your insurer. If your insurance doesn’t provide one, use the Healthcare Blue Book or Guroo. Familiarize yourself with your insurance coverage. If you are charged for something covered, you have a good shot at receiving a refund or having the charges reversed. Request an itemized receipt for every medical procedure/test/service you received. If you spot medical codes you don’t recognize, you can do a google search of “CPT” followed by the code number for an explanation. Call the doctor/hospital’s billing office: they are ultimately responsible for correcting the mistakes. Call the patient advocacy phone number of your insurance company if the office refuses to work with you. When you call either of these numbers, make sure to keep a log of the date/time and name of the person you talked to. Invoicing is an essential process of just about all businesses. However, invoicing is rife with errors. As a consumer, you must make sure you are not incorrectly charged for services provided. We hope this guide provides you with a set of tools and strategies for determining if you have been improperly billed. An invoice is a bill that is provided by a service or goods provider to another party. An invoice details the service or goods received, the price for each, the total, any tax that is applied, and the due date. A pay stub is used as documentation to show how much money a person or business was paid for services rendered. A pay stub will also list the amount of money that was withheld for tax or legal purposes as well as a date the payment was given. A rent receipt records the amount of money that was paid for rent, when it was paid, and from whom it was received. A rent receipt is an important written document for both landlords and tenants. Business plans are a great way of getting your ideas for a business on to paper. Regardless of the type of business you want to start, a business plan can help you outline all of your business goals.